Roll Hardy depicts the grittier edges of urban locales with a lively and impressionistic touch that focuses new attention on forgotten spaces. 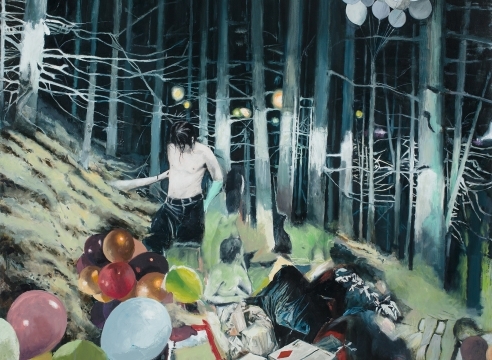 Working further afield and occasionally in a larger scale for these new works, Hardy reveals a profusion of dispossessed places as well as a new device for him, figures. An adept painter, Hardy finds a beauty in this difficult and immediate subject matter through his unique perspective and soulful interpretation. Hardy’s paintings represent the first step in considering such possibility, bringing detached places back into the society that left them behind.